Landscape ranked always already among the most popular topics of large photographers in the 200-jaehrigen history of the photography. American tradition of the landscape photography like the Ansel Adam and Edward Weston had even political effect and led ua to the establishment of the large American of national park. In Europe the category of the landscape was not always pursued intensively by photo artists. Only for the eighties, the to more the landscape from Europe to disappear seems, takes care of photographer again the topic. It does not concern to contemporary photographer such as Nikolaus Schletterer however any longer the transport of the aesthetic, historical or geographical function of the landscape, on the contrary they go on the tracing after the transformation and use by humans, as in the pictures on this wall seeing itself. The minimum human interferences into nature paired with light result in the area of conflict the Nikolaus Schletterer interested. The more or less minimalistic interferences, find their echo in minimalistic architecture. It is irrelevant thereby that the photographies in Tirol, Croatia, Mecklenburg Vorpommern or Italy developed. On the other hand it goes as abstracted in the large sized work here around artificial worlds in the landscape, through an easy shift of the coloredness. Luigi Ghirri has always of it spoken that the photography means of a fantasievollen narration is. 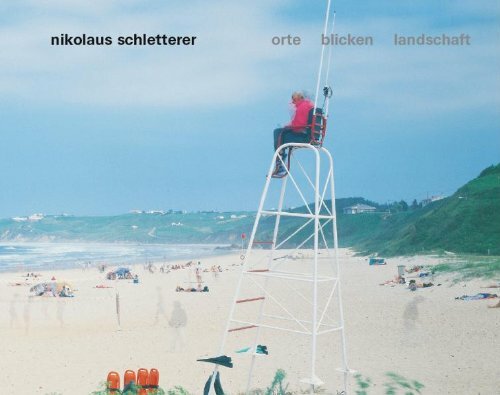 Nikolaus Schletterer work varies between the fantsievollen narration, poetryful views of inconspicuous places, which makes a freezing with the large size camera again wahrnembar by the increased speed of our time only duch. Or like it Arno knight, director/conductor of the architecture forum Tirol formulated, works Nikolaus Schletterer on?einer Phaenomenologie the perception of landscape, the virtually stored meanings of places and the small apparently unimportant things. in its books archaeology of the 'banal' become analyzes it looks the construction of nature, the dynamics of the tourism and the longing industry connected with it...?. The new book of Nikolaus Schletterer: 'locate look to landscape' appears in the photo yard edition and in the context of a Finisage one presents.